While working for a multimedia company, he visited New York City in 1976. The visit convinced him that in order for his career to reach its full potential, he needed to move east. The next year, he was living in New York and working at McCall’s Magazine as designer of the magazine’s “Right Now” eight-page monthly insert. A few years later, Lou Dorfsman hired him on as Senior Designer at CBS. 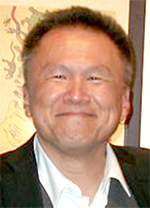 In 1985, he eventually launched Jack Tom Design, now headquartered in Bridgeport, CT. He has served as president of the Connecticut Art Directors Club, and presently teaches Communication Design, Typography, and Illustration at Western Connecticut State University as well as at Norwalk Community College. To find out more about Jack and to see his work, visit Jack Tom Design. The actual 1967 handbill that changed Jack Tom's life: "Van Morrison plus The Daily Flash and Hair - all at the Avalon October 20-21-22." It's been on Jack's wall ever since, as evidenced by the thumbtack hole top center. 1. 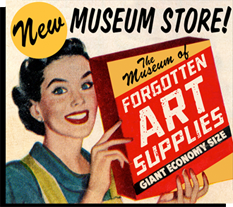 Can you recall your worst most unforgettable art supply experience? Yes, or at least it was a hazardous art supply experience. When I was at McCall's, a new adhesive product came on the market: 3M Spray Mount. We were using one-coat rubber cement to paste up mechanicals and the rubber cement required drying time, but spray mount was immediate. The spraying area was in the trashcan next to my chair. Anyway, after a year, I noticed a silhouette the shape of my body on my black chair... it was created by the spray particulars from the spray mount landing around me and the rest was landing on me and, of course, I was inhaling it...OMG! Yes, I hated using Pantone overlay film products...it was much more tacky and more expensive than Cello-Tak and Zip-a-tone. But Cello-Tak and Zip-a-tone colors were being slowly discontinued and getting harder to find, so I was stuck using Pantone. After going digital, I gave away my Pantone color sheets to Randy Enos. They were getting very expensive by then, so I hope my Pantone overlays came in handy for him. I used to love using Rapidographs and Rotring technical pens. They were a pain to use at times (clogging and cleaning), but they made great lines. I also miss using Letraset rub-down type. I still have a few boxes of both Letraset rub-down and Formatt cut-out type and dot screen sheets. I had a good set of Magic Markers and Pantone markers, over 80 colors. I had to throw them out because they eventually dried out. There are times when I'm doing a tight sketch, and I just don't feel like scanning and coloring it digitally. The markers would come in very handy. 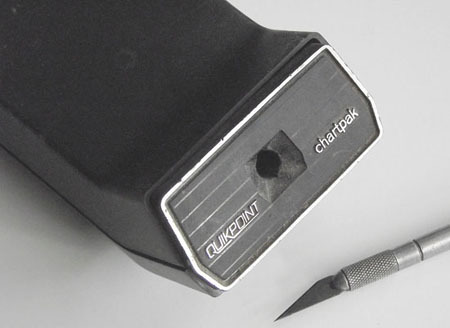 Chartpak came out with an X-acto blade sharpener called Quikpoint. I was at CBS at the time and someone ordered a few for the designers. We thought it was the answer to reusing the X-acto blades, but it sucked, and it never did restore an X-acto #11 to its former self. So, we just kept on buying the 100-blade bulk pack. Must have been a good 30 years ago we went to an Artist's and Model's Ball in Manhattan. The entertainment was a band called Ben Day and the Zipatones. My father was a natural born artist. He sketched and painted beautifully and would have pursued it if not for the Great Depression and then WWII. At age 42 he had a heart attack and had to switch careers to something less strenuous than being a traveling salesman. 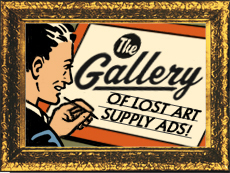 So he turned to his talent and started doing pen and ink illustrations for newspaper ads...furniture, jewelry etc. When he passed away in 1972, I ended up with all of his old supplies from crow-quill pens to the earliest Radiographs. My wife's aunt was a paste-up artist and also a lifelong multitalented artist. when she passed away in the early 80's we inherited all of her stuff, markers pads, ruling pens, a real nice old oak drawing table and on and on. My wife and I met at New York City Community College in 1962, where we were both studying Advertising Design. So between all of our stuff (we went from razor blades, rubber cement and crop marks right up to our Mac Book Pros today, we are swimming in old art supplies. Every shelf in the basement has things like an old laminator, parts from any of our various old stat cameras, pads up the wazoo, 2 of those red plastic carousels with the holes for your pens etc. It's just everywhere. Anybody need two unopened gallons of Bestene Rubber Cement Thinner? In 1984 I went to work for a company in NYc "Irwin Shaw Inc." making color corrected packaging for TV for agencies in NYC. 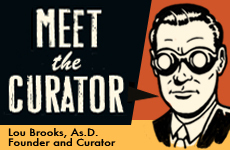 We made those B&W line drawing slides show with a voice over- "Brought to you by..." etc. 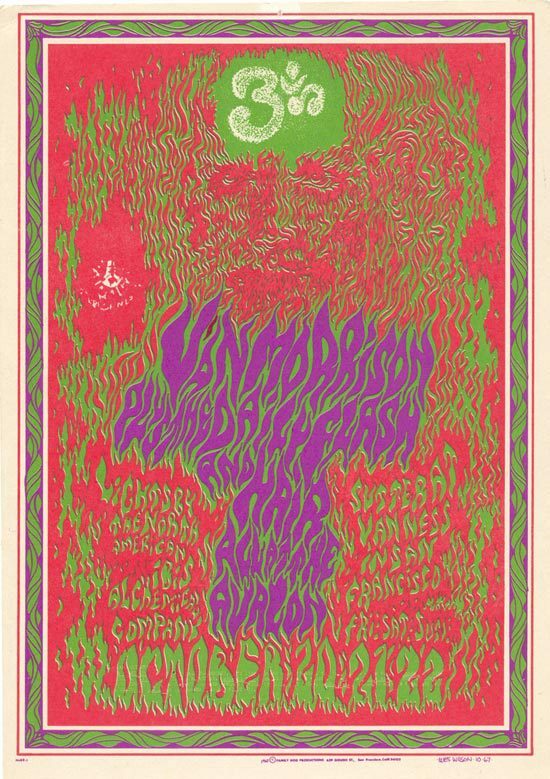 We made them with a printing process used before color printers existed, called "Chromatech," a tedious haphazard process using dangerous chemicals, to print color one at a time. Each color, with a layer of photo emulsion, had to be exposed in a vacuum box with a carbon arch lamp in it- two carbon rods touching, with high voltage, that always had to be whacked with a wrench to get them to produce light. I wasted a lot of my life then spotting giant negatives with a strange rust colored paint. I bought the company 4 years later just as computers started to nibble away at all the old ways I was doing things. Eventually, I took the $12,000 motorized stat machine on a dolly down the block from my house and abandoned it on the street. I couldn't even give it away. I threw away all the Rapidograph pens that only work for a few minutes after their purchase, and I bought a Quadra 650 Mac. the rest is history. I love your site real stirs up old memories. What a great idea! I started working by in the 70's used to love working with my hands and seeing the final printed piece. So hard to find a job these days its another world. Thanks for the memories. Remember the old wax machines?If you put your type in upside down, you were screwed! I'm holding out for top dollar on my in-the-box PANTOGRAPH. When the electric grid fails I'll be in command of drawing reductions and enlargements, then see who's laughing! In UK we used scalpels in the studio - Swann Morton was the weapon of choice. Our stdio manager used to snap the point of any blunt blades which would give them a sharp edge again but not for long, the record number of snaps for one blade was an 11a - six times. In the late 60's and early 70's I used the Flowmaster pen to draw cars. 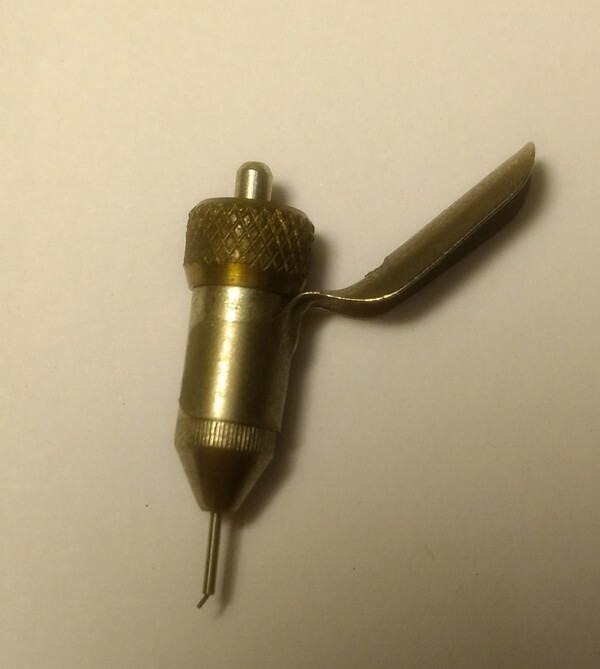 This was a heavy pen used with a variety of nibs and used ink (Flowmaster Ink) dispensed from a can ( like a "3-in-one oil" can). The ink was quite strong smelling and wouldn't likely meet today's environmental standards.